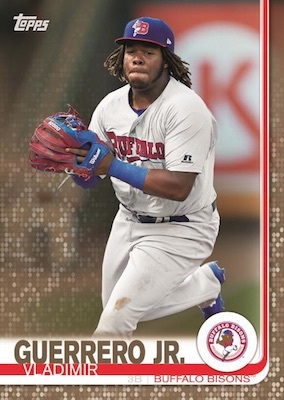 The minors are normally overshadowed by the big leagues, but 2019 Topps Pro Debut Baseball shines the light directly on MiLB stars. This includes some of the biggest names coming out of the 2018 MLB Draft class. Like in 2018, each Hobby box adds some extra firepower with two autographs and two relics. 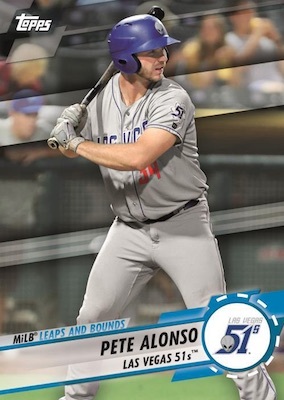 If the main 2019 Topps Pro Debut Baseball design looks familiar, that is because it is the exact same as the 2019 flagship set. However, the up-and-coming players rock their minor league uniforms. The full base set totals 200 cards and adds Green (#/99), Gold (#/50), Orange (#/25), Red (#/10) and Black (1/1) parallels. The Base Image Variation cards throw a photo changeup for key subjects. These short prints also have a one-of-one Black version. 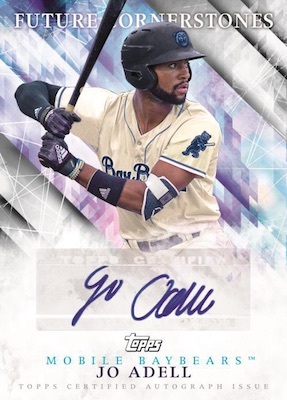 The insert lineup for 2019 Topps Pro Debut Baseball is not much different from 2018, offering Ben's Biz, which highlights the experiences of Benjamin Hill from MiLB.com, and Promo Night Uniforms, featuring unique looks from around the minors. MiLB Leaps and Bounds is also back to identify the surging players. Parallels include Green (#/99), Orange (#/25) and Black (1/1). New for 2019, the Pro Debut 10-Year Anniversary Reprints set lets collectors revisit the initial Pro Debut cards for notable players. Unless stated otherwise, all of the above inserts offer a one-of-one Black parallel. Finally, the Make Your Pro Debut Winner card returns for 2019. Coming in pairs, the 2019 Topps Pro Debut Baseball checklist promises two autographs and two relics per Hobby box. The Base Autograph line uses the primary design and parallel rainbow. The case-hit Future Cornerstones Autograph cards are just for the best prospects. Numbered to 99 or less, this signed set also has Orange (#/25) and Black (1/1) parallels. Limited to only five copies are the Jumbo Patch Relic Autograph cards. 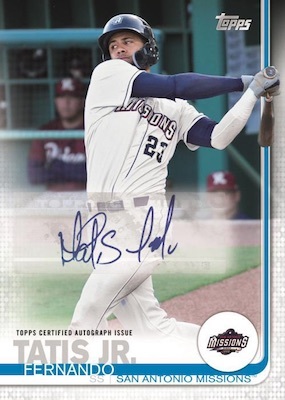 In addition, both the Pro Debut 10-Year Anniversary Reprints and MiLB Leaps and Bounds insert sets get upgraded with numbered Autograph parallels. 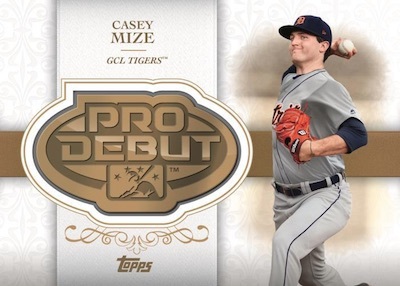 Providing the other two hits, 2019 Topps Pro Debut Baseball contains several memorabilia inserts. Returning favorites include Fragments of the Farm and Promo Night Uniform Relics (#/99). Displaying a manufactured logo relic are the Distinguished Debut Medallion (#/99) cards. All three relics come in Gold (#/50), Red (#/10) and Black (1/1) parallels, while Fragments of the Farm also has a Green (#/99) version. The all-new Jumbo Patch Relics set goes big on the game-used jersey swatches. These are numbered to 15 copies and have a one-of-one Black parallel, as well. These are mock-up images and not final cards. Designs and contents are subject to change.